Diaper service, or no diaper service? You are thinking of cloth diapering your baby. Perhaps you are environmentally conscious and you’ve decided to not go the disposable diaper route. Or you are budget conscious and you know that cloth diapering is supposed to be cheaper than disposable diapers. But, you’re not really sure about all that laundry you’ll have to do. Plus, the idea of handling dirty cloth diapers does not appeal to you. You’ve heard that you could use a cloth diaper service that would do all the yucky work for you. Great! A cloth cleaning service is a professional cleaning service, Their job is to pick up the dirty diapers, and leave you with clean, fresh diapers. Sounds wonderful, right? You’d be doing your part to save the environment, and the cloth diaper service will be doing all the work you don’t want to do. What could be better? After all, as a parent of a baby, you have your work cut out for you. Night time feedings, daily baths and constant diaper changing make it almost impossible to get a minute to rest. Add the extra laundry that goes with cloth diapering, and surely there will be no free time. (What free time!) 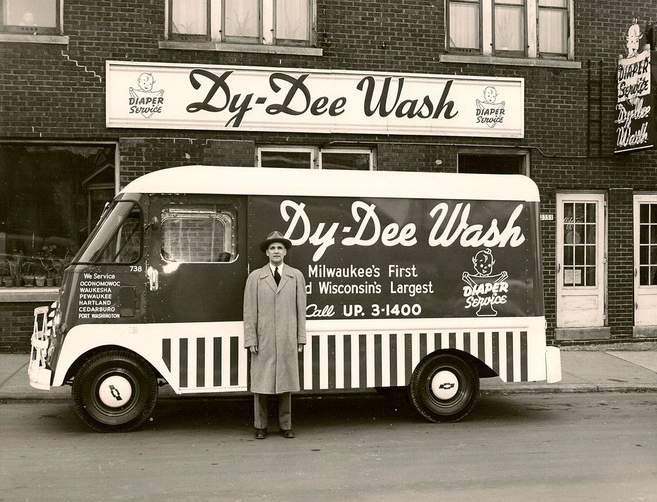 A Diaper Service would certainly help ease the laundry burden. Basically, clean cloth diapers are delivered to your door and dirty diapers are picked up. You never need to wash or handle dirty cloth diapers, other than cleaning your baby. 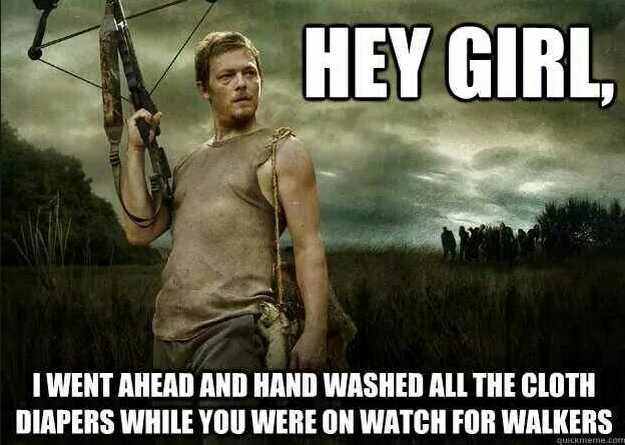 You simply toss your dirty diapers in a the pail that they collect, and you’re done. When you first sign up for a diaper service, they will give you a special air tight diaper pail. You will love this because it ensures that the odor of dirty diapers doesn’t fill your home. Some services also supply liners for the cloth diaper pail and special deodorizers. On pick up day, you simply hand over the grimy diaper-filled liner from the diaper pail the same way you would get rid of a bag of trash from your garbage container. You do not need to touch the dirty diapers. Some diaper services may request that you rinse soiled diapers before putting them in the air tight diaper pail. When you call to interview a prospective service, be sure that this is one of the questions you ask. Other questions to inquire include cleaning methods, type of diapers, the time of day the service attendant may be expected, and cost. Many busy parents choose to have their diaper service come on a daily basis. While this is desirable to many, it does not have to be the rule. You can make arrangements for them to come when it suits you best. Bear in mind that if the service comes less often, you’ll have to order more diapers so you don’t run out. 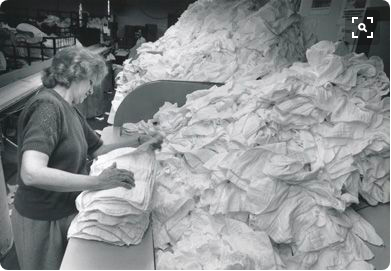 Many diaper delivery companies use either tailored or prefold diapers manufactured from high quality cotton. These diapers require a cover to be water resistant. Some services lease covers or wraps with their diapers, while with others, you are required to provide your own diaper covers. Usually these companies provide sized diapers, so you get a nice fit every time. The Benefits of Using a Cloth Diaper Service? It is convenient. They do all the work for you. Diaper service can also be a great short-term option if you want to start out with cloth diapers with your newborn. Newborns outgrow their diapers quickly and by using a diaper service, you would not need to invest in newborn cloth diapers. Parents of newborn babies get very little done in those first few weeks and if you use a service, you would not need to deal with loads of laundry. Is a Diaper service the right fit for you and your family? 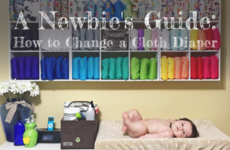 This is your first-time cloth diapering and you’d like to ease yourself into the process. How much does a Diaper Service cost? Costs usually run between $18 to $24 per week, with the added advantage of the delivery right to your doorstep! Please keep in mind that the price will depend entirely on where you live. The cost is higher than if you were to buy and wash your own cloth diapers but is usually comparable or lesser than the cost of disposable diapers. If you have more than 1 child in diapers, the price per child can be much lower, since they charge for only one delivery fee. For parents of multiples, delivery can be much more affordable than disposable diapers, and without the demanding situations of keeping up with the laundry required to use cloth diapers for multiples. You’ll need to evaluate what “extras” are covered in the service considering the fact that packages can vary from a specific number of diapers to a flat rate, and may or may not include dabs, pails, refillable bags and so on. Some diaper service companies offer markdowns for new customers, discounts when you refer new clients, and also loyalty discounts (for instance, if you use the service for more than 12 months). While it is not standard, some companies even offer “toilet training” guarantees, where if your child isn’t toilet trained by a certain age, your service is free after that point. Before you sign up for that diaper service, you might need to accept that the option of getting a service, may not be available to you. Yes, diaper services used to be a prosperous industry a long time ago but with the popularity of disposable diapers, the industry has shrunk down considerably to the point that they may not be available to you, especially outside of metropolitan areas. But, if you have the option of choosing a diaper service in your area, consider the following hassles that come with using such a service. Many diaper services offer only simple prefold diapers. This may mean that you still need to invest in cloth diaper covers. Some services will give you a few free diaper covers when you sign the contract. 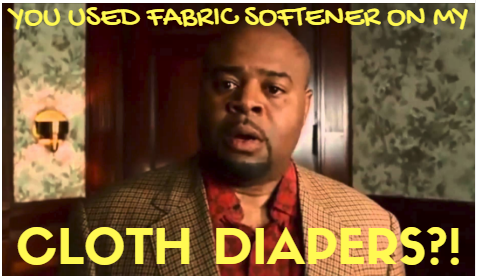 Industrial detergents are used to thoroughly clean your diapers. If a baby has sensitive skin, this may be a problem. You have to use whatever type of cloth diapers the laundry provides. Diaper Service or No Diaper Service? In my humble opinion, some people choose a diaper service because they do not want to deal with the laundry. I get that – it may sound daunting, especially considering that newborn babies can go through up to 12 diapers per day. Yes, there is more laundry BUT it really is just an extra load of laundry. Diaper laundry is the best laundry in the house. You do not need to worry about wrinkles and all of the diaper laundry is collectively in a single load so there’s nothing to sort or hang up. You don’t really need to sort it in any way unless you want to. And, you can use them out of the laundry basket if you’re pressed for time. Yes, there are certain methods/ precautions when washing cloth diapers BUT they are really simple to follow. These include things like not using fabric softener on your cloth diapers. There are a few other things to keep in mind too but they really are simple and it’s all easy to understand and remember. Once you have the hang of it, you’re good to go. Yes, there is the extra work that comes with washing the cloth diapers yourself BUT once you establish a routine, its easy. There are many methods to washing cloth diapers. If you ask 10 people how to wash diapers you will get 10 different exclusive answers. But do not worry. 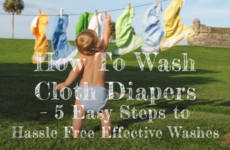 You will come up with your own system that works the best for you and we can help you with a comprehensive guide on how to wash cloth diapers. If you are really worried about washing cloth diapers, think of it this way – it is more fun to stack clean cloth diapers with baby than the alternative, which is to get baby into the car seat, drive to the store, pay more than you would for cloth diapers, then unload it to the landfill. I hope you enjoyed this post. I try to be as informative as I can, and I try to provide you with all the information I can gather, so that you can make informed choices. If you think there is anything I should be adding (or removing), feel free to let me know. I ALWAYS want to know from cloth diaper moms. 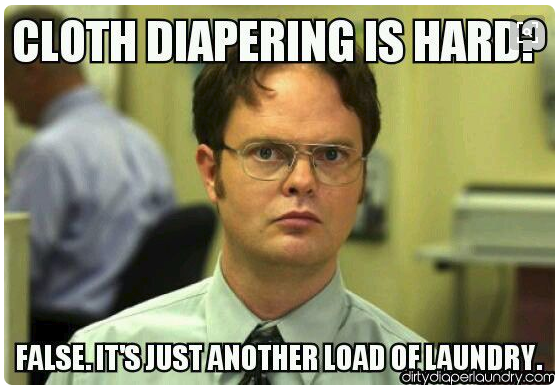 Cloth diapering is a great thing to do, but it comes with a lot of hard work. In this article, I detail the reasons why you may, or may not want to use a cloth diaper service.